Welcome to Paradise Adventure Golf of Myrtle Beach. We offer you, your family and friends 3 of the Grand Strand’s best mini-golf experiences. All 3 locations are designed to make you feel as if you were traveling to another place in time. Mutiny Bay is our 36 hole all outdoor adventure that features a battle every 30 minutes of the pirates of the Caribbean. Cancun Lagoon is our 27 hole indoor (Air Conditioned) – outdoor adventure that features a 50’ replica of an ancient Mayan pyramid where the gods of thunder and lightning oversee your play! Don’t make the gods angry or you will hear the thunder and see the lightning! 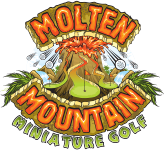 Molten Mountain is the area’s only 18 hole all indoor (Air Conditioned) and 18 hole outdoor courses that feature a 50’ volcano located in the south pacific which erupts with fire and steamy fun and excitement every 30 minutes. All locations offer handicap accessibility and we offer special rates to our veterans. Paradise Adventure Golf is simply the best family value in Myrtle Beach, and we offer more fun than anyone else in town. 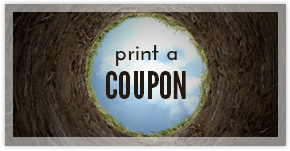 Locally owned since 1996, we can make your mini golf experience on the Grand Strand one to remember!